So Milli and I have made a commitment to each other to try and have more fun. Milli had an idea last week to have our own African Thunder Over Louisville the same night that all of our friends back home were celebrating. 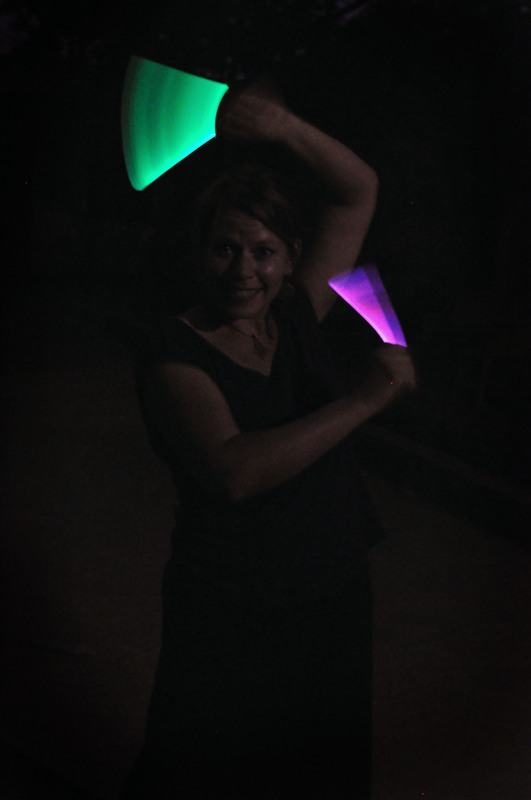 But of course, we don’t have fireworks – but we did have two glow sticks that someone sent us for the kids. We just cracked those open and waved them around outside. It lasted about 2 minutes, but at least it was something for us to laugh about. 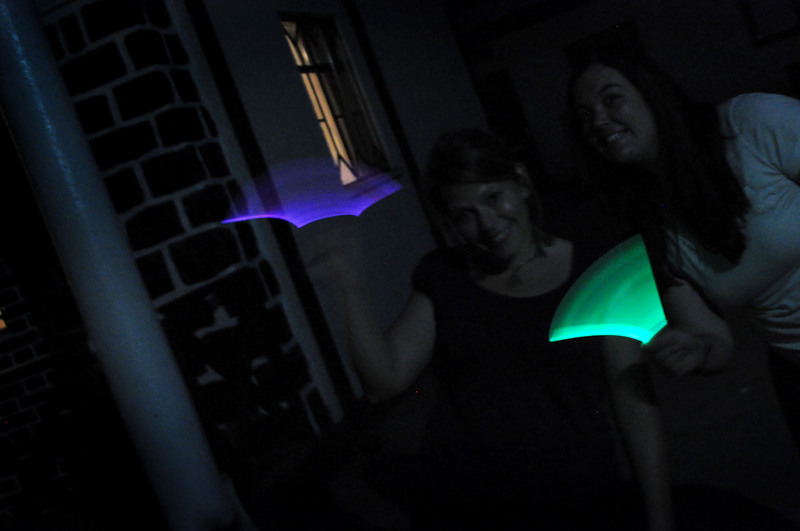 Bonus, we got to try and explain what we were doing to our guard who didn’t know what fireworks were. That was awesome. 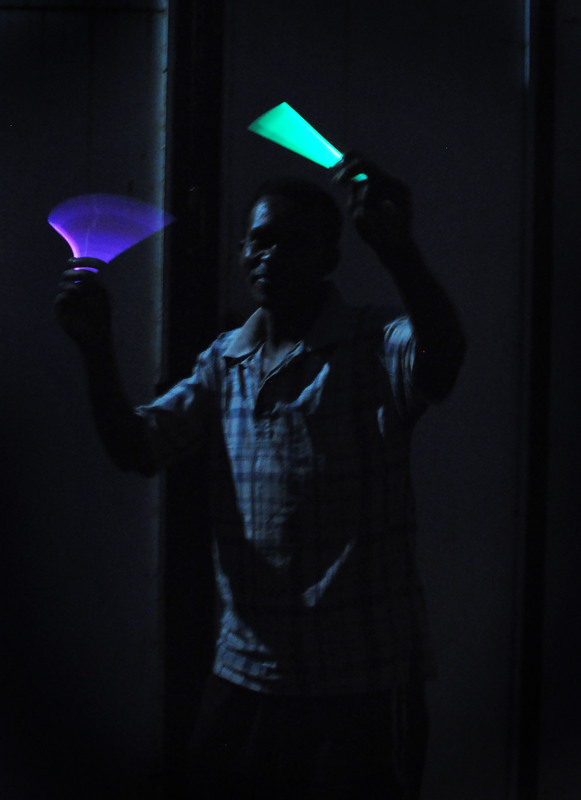 We made him wave the glow sticks around too. I guess you can take the Louisvillian out of the Derby but you can’t take the Derby out of the Louisvillian. This one was taken by our guard. I’m pretty sure he has never really held a camera before. love!!!! please do more fun things and post them!!! this may not make you feel much better, but it was cold and yucky here so there wasn’t a huge crowd for Thunder. even I didn’t go and I ALWAYS go to Thunder. but I’m sure you don’t care about the weather and miss it just the same. I like that you had to explain that your guard had probably never held a camera before. Funny! It looks like you all were having a good time! Miss you!